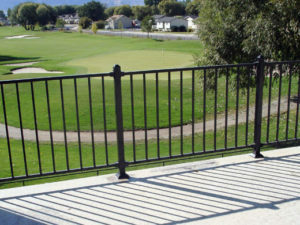 Dekmax is the Utah and Idaho sole distributor for Duradek outdoor flooring, solid surface decking, outdoor tile, outdoor stone, Durarail railing and Duradek waterproof decking. Dekmax is very pleased to have helped bring a waterproofing product to the Utah market that comes with more than 36 years of proven history and experience. 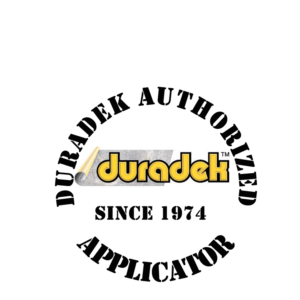 Duradek is a stylish, contemporary, permanent waterproof protection for sundecks, roof decks, balconies and much more. Installed by a network of trained applicators, Duradek is backed by an industry-leading 10 year warranty. At Dekmax we pride ourselves on being a locally owned company providing support for both the home owner and the contractor. From large condo and townhouse complexes to single family homes, we are here for your information, education, and ongoing support. Here in Utah, the average homeowner spends time and/or money every three to five years working on their deck area; that can add up quickly. We have such beautiful views from just about any location, they should be enjoyed while relaxing or entertaining. Our products will allow you the ability to relax with confidence for the next decade and beyond. At Dekmax we work on several different levels to assist you, making sure the job is done correctly and you are satisfied. We will only sell to qualified, trained, licensed contractors (dealers). Dealers must go through a company provided training course. To ensure the highest level of customer satisfaction a Dekmax representative inspects every job site. Home owners often simply call when they have a question, we are here to help. Our mobile showroom is available for home visits upon request. Though samples can be seen on line we recommend you see them at the home and in sunlight as well as shade. Duradek has been waterproofing roof decks since 1974 with PVC sheet membranes that are meant to be walked on. We sell our product only one way – professionally installed by contractors who have completed a training course and who specialize in flat surface waterproofing. Many of those decks have been covered with tile over the years. So it is not much of a stretch for us to redesign our regular Duradek Ultra membrane to come up with an anti-fracture, roofing membrane capable of having tile applied over top – Tiledek! Installed only by trained contractors who specialize in roof deck and balcony waterproofing. More than 35 years of roofing/waterproofing experience to draw upon. Duradek, The Original sheet vinyl membrane for waterproofing decks and balconies, was developed to solve leak problems over 35 years ago. Since 1974, Duradek has been supplying North America’s premier sheet vinyl pedestrian traffic membrane. Based in Utah, we serve homeowners and contractors all across the intermountain region.